It’s February. Almost March, actually. How are you doing with your New Year’s Resolutions? Many of us have decided to improve our bodies, our relationships, and our finances. But what about the spaces where we spend so much of our time? Does looking around your home makes you feel relaxed, energized, centered and positive? If not, it’s time for a change. Sometimes all it takes is hopping on the bandwagon. 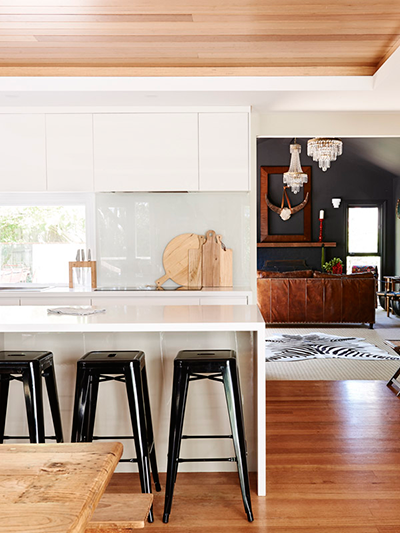 Finding an interior design trend you like and using it in your home can help rekindle your love for your home. Indigo, navy and turquoise are coming on strong. There is a lot of variety to choose from depending on the look you want. Brighter blues are fresh, fun and youthful. 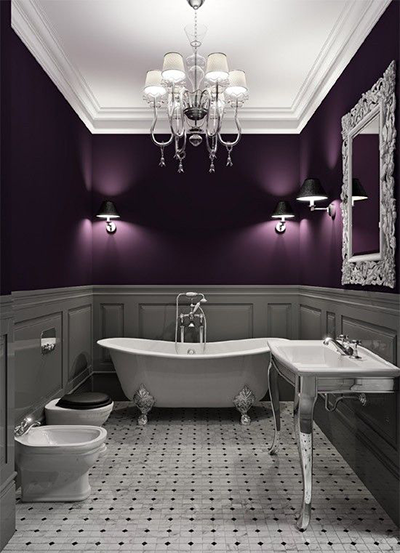 Darker shades are replacing charcoal and chocolate to add elegance. 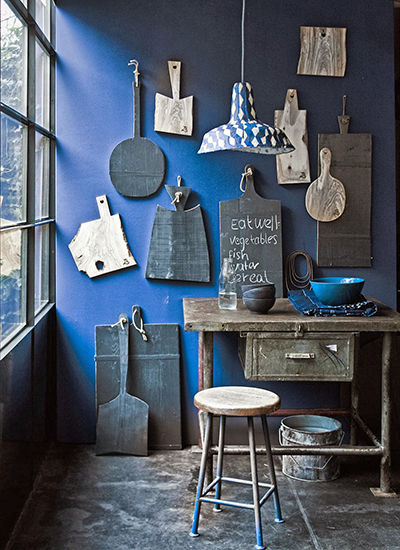 Not ready to commit to a blue room? Throw pillows, vases, and other accents in your chosen color are a way to test a bold new shade. 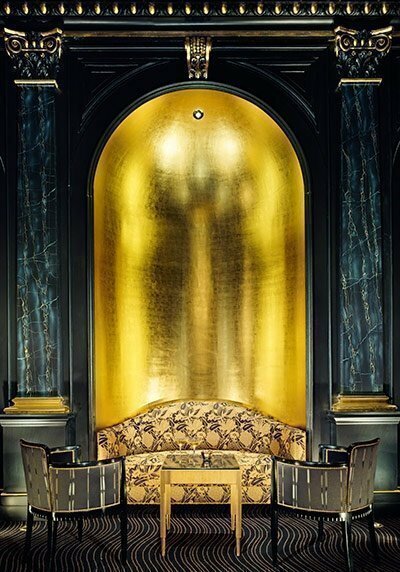 The lavish elements of 1920’s decor have seeped into modern design practices. 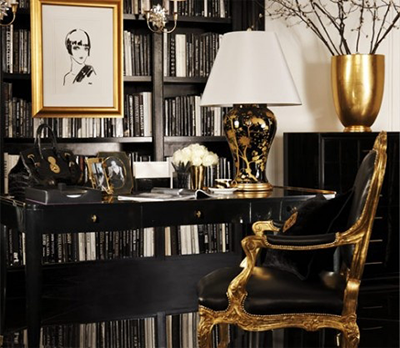 The result is a dazzling modern take on classic glamour. This trend can seem overwhelming. 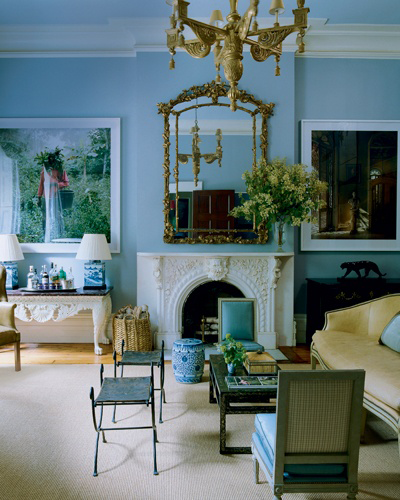 It encompasses a broad range of looks, and room layouts tend to be intricate and maximalist. I’ve found that you can simplify by implementing two of the primary components of this look. 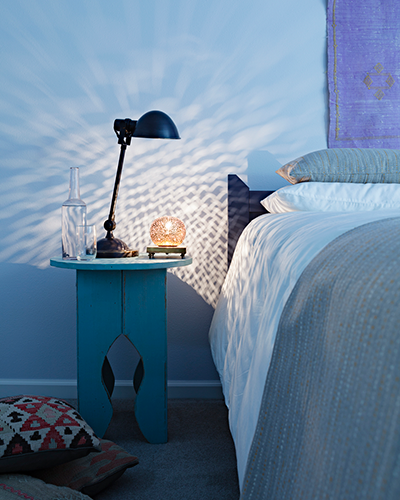 Metallics – A little shimmer of metal goes a long way towards making a room glamorous. Crystal chandeliers, wall sconces, and cabinet hardware are good places to add a little shimmer. Pearlescent or metallic paint can also provide dazzling results. 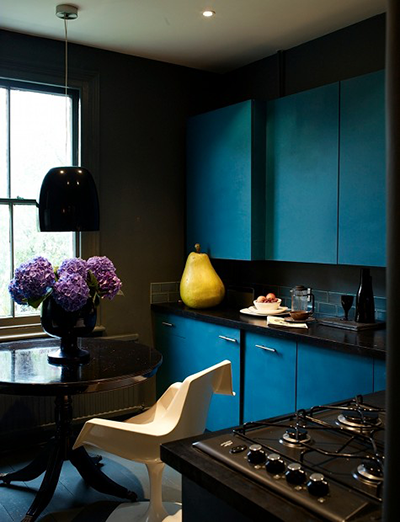 Dark Walls – Metallics command attention on their own, but dark walls help them “pop”. This works especially well in dining rooms and powder baths. The popularity of greys and greiges* show no sign of stopping. 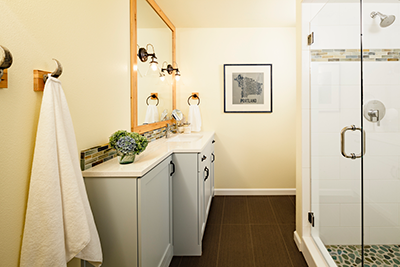 Colors and textures that pair well with these neutrals are in demand. When paired with these popular colors, darker rosewood or walnut woods make a room look dreary. 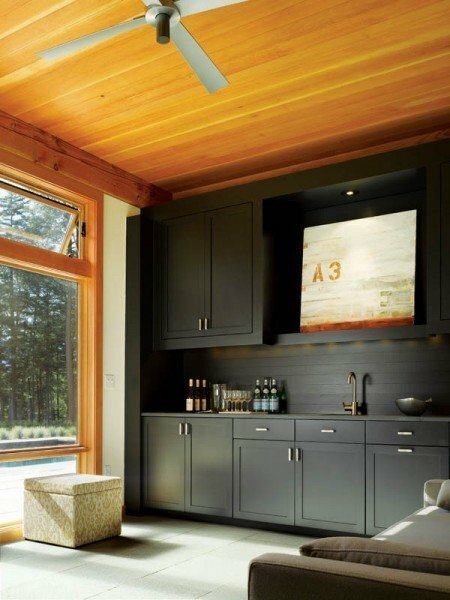 Lighter wood tones keep the room looking warm and open while highlighting the cooler greige accents. 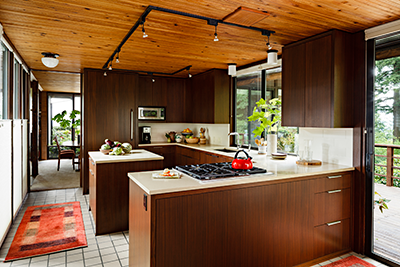 As a result, walnut and honey toned woods are sought-after materials. This year, they’ve become a trend in their own right. * Grey + Beige = Greige. It’s essentially designer speak for taupe. In the age of mobile, creating space for our devices just makes sense. Every kitchen I design now is mobile friendly. 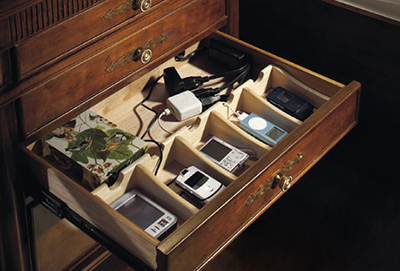 I either allocate countertop space for devices and provide multiple outlets in a condensed area, or create a drawer for devices with an outlet in the back. 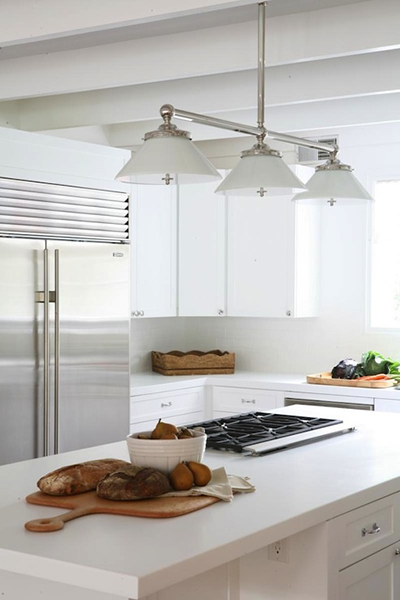 There’s a lot to like about quartz countertops. The material is maintenance free, sustainable, and consistent. 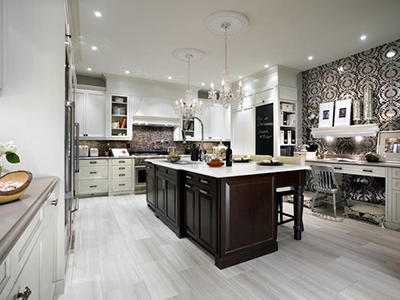 I attribute quartz’s popularity to how well it pairs with popular glass mosaic and natural stone back splashes. 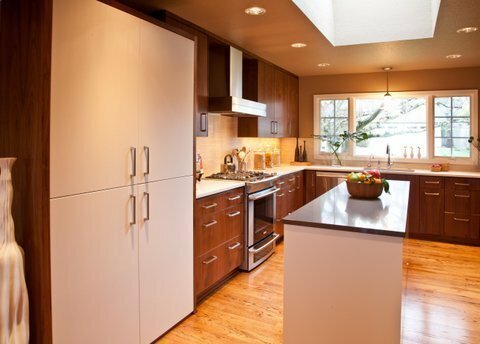 While the quartz material is similarly smooth and glassy, it is a solid color for the most part. This keeps kitchens with both from looking too busy. What trends have you observed are gaining popularity in 2014? Leave a comment. Those charging stations are an incredible idea. I our clients love them. Seems like everyone needs one of these with all of our gadgets and there are so many ways to incorporate power into a design. 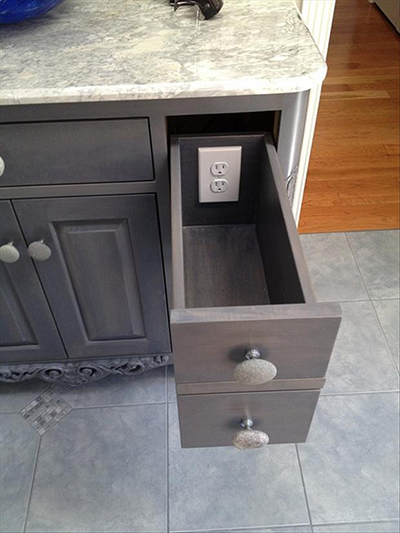 Outlets inside the drawers?!? That’s pretty neat. I’m glad to hear navy and indigo are the in colors, because I just gave my living room, dinning room and hallway a new shade of indigo and absolutely love it. Next project is the hideous yellow kitchen….I think I’ll use the light shades of wood with black cabinets – I’m diggin’ that look.